The beneficiation of platinum group metals (PGMs) from pristine (unweathered) sulfide ores has conventionally been conducted through froth flotation, which typically achieves platinum recoveries of over 85%. The achieved successes of PGM concentration by flotation from the pristine sulfide ores are largely due to the occurrence of PGMs in close association with base metal sulfide minerals like chalcopyrite, pentlantite, and pyrrhotite which are easily floatable. However, the fast depletion of sulfide PGM-bearing minerals has triggered interest in exploring the recovery of the PGMs from near-surface oxidized PGM ores which have proven to be more difficult to process by conventional means as an alternative source to sustain production of PGMs. Earlier attempts to process the oxidized PGM ores by conventional flotation methods achieved poor recoveries (typically less than 50%). The resource estimates of oxidized PGM ores which are either unmined, mined, and stockpiled or discarded as overburden waste in South Africa and Zimbabwe are over 500 million tonnes. The economic benefits that could be realized in the event of an alternative and effective processing technique being developed would be immense. 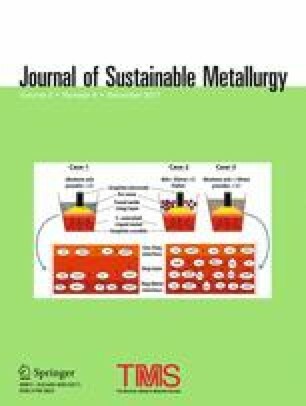 This paper reviews and discusses different research efforts that have been made to improve PGM recoveries from oxidized ores, and their merits and demerits. The contributing editor for this article was T. Hirato.